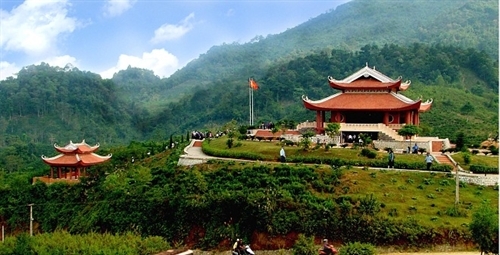 THÁI NGUYÊN — An area covering three northern provinces – Thái Nguyên, Tuyên Quang and Bắc Kạn – has been designated for the conservation of cultural and historical values and revolutionary war-zone relics, as well as the development of an agroforestry economy. The area’s establishment, scheduled to open by 2030, is a part of the inter-provincial master plan of the ATK revolutionary war zone, issued by the Ministry of Construction yesterday. AKT is the name of the area – including the three provinces of Thái Nguyên, Tuyên Quang and Bắc Kạn – that late President Hồ Chí Minh selected as a safety zone to build a revolutionary base during the Anti-French resistance war (1946-1954). The area, covering nearly 5,700sq.km, is expected to become the national-level ecotourism, culture and history centre. It is scheduled to attract about 4.5 million tourists when it opens. Under the master plan, the area is divided into four sub-areas, with the first located in the districts of Định Hóa, Đại Từ, Sơn Dương and part of Chợ Đồn. This area will be scheduled to conserve revolutionary war-zone relics, boost the tourism sector and develop a high-quality agriculture sector. The second sub-area will be constructed in Chiêm Hóa District and a part of Chợ Đồn to enhance forestry production. The third sub-area, placed in the districts of Sơn Dương, Yên Sơn, Phú Lương and Đại Từ, is set to promote tea processing for export and the lighting industry. The last sub-area, situated in Tuyên Quang City, is planned to foster service and industry. Deputy Minister Nguyễn Đình Toàn said the construction of the area is expected to play a key role in socio-economic development for the three provinces by 2030.